Enjoy Utah! : BOOK: "Salt Lake City: Then And Now"
BOOK: "Salt Lake City: Then And Now"
I got the most awesome book for Christmas from my friend Angela! 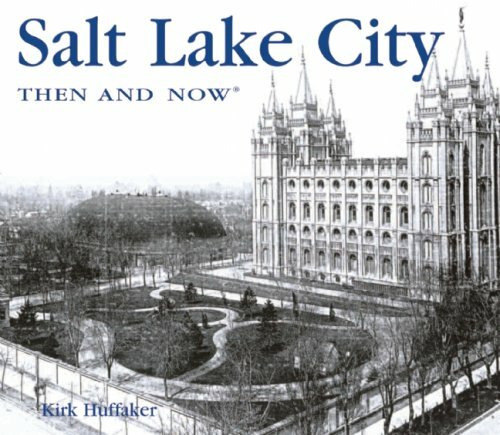 It's called "Salt Lake City: Then And Now", and it has pictures of different spots in Salt Lake City, what it looked like many years ago, and what it looks like now. It even has Historic 25th Street in Ogden, and a few spots in Provo as well. I am looking forward to sharing a few facts and bits of information about Salt Lake with the Enjoy Utah! readers throughout the next few months! In 2011, I want to do more posts about the history of Utah and many of its towns. I hope you are as excited as I am to be doing more posts about the history of some of these historic, and some unknown, places, throughout 2011! (If you are interested in this book, click the Amazon link to the right of this post).